Taking a photo at the right time in the moment where everything seems hilariously perfect is one of the hardest tasks ever. However, with people taking hundreds upon hundreds of photos every day, there are some insane coincidences with funny outcomes. 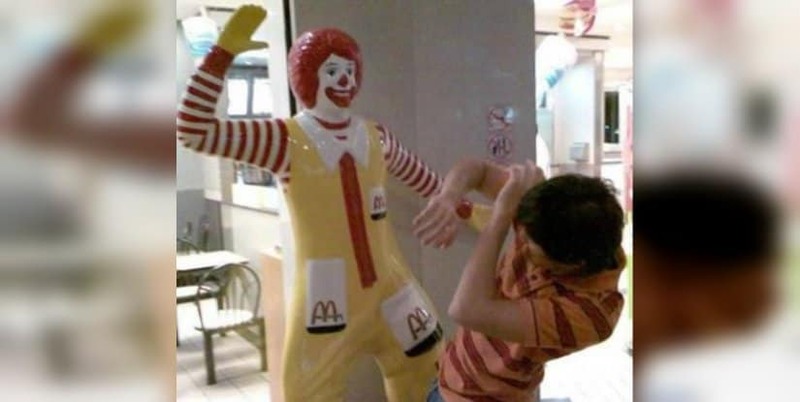 Whether the following 10 photos of Ronald McDonald are simply a mistake, or they show the true dark and pervert soul of the always smiling clown, you decide. 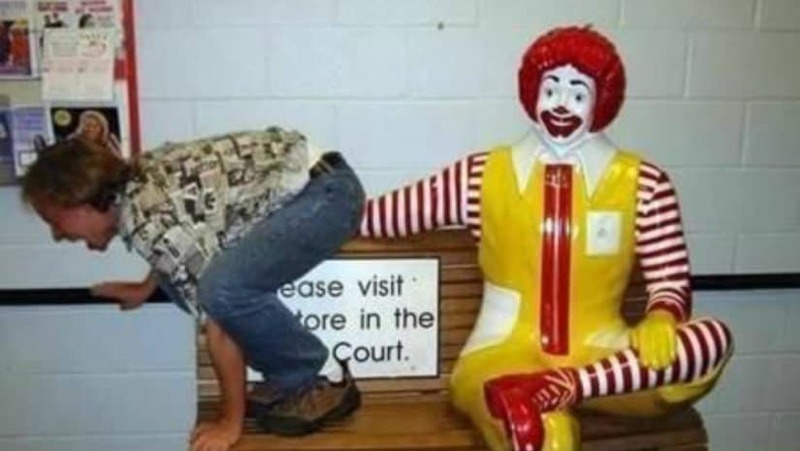 But one thing is definitely certain, these are some of the funniest photos of Ronald McDonald you’ll ever see on the internet! 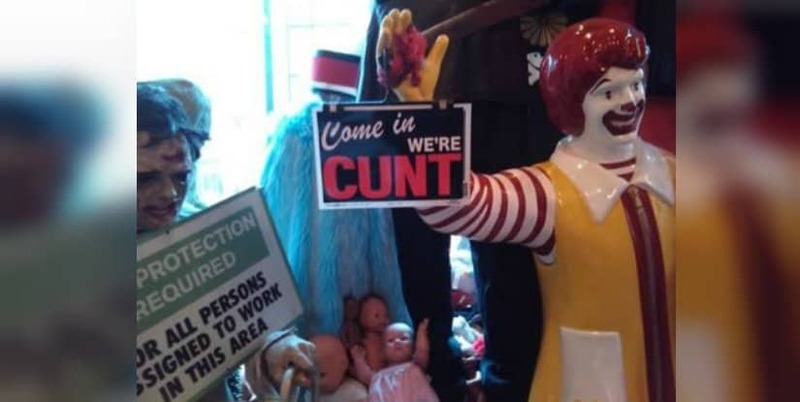 Without further adieu, here are 10 hilariously inappropriate Ronald McDonald Photos. We all know that Ronnie is quite the pervert, but receiving oral, while at work, is downright inappropriate! Ronnie, what are you doing?! You are supposed to play with the children, not punish and slap them! 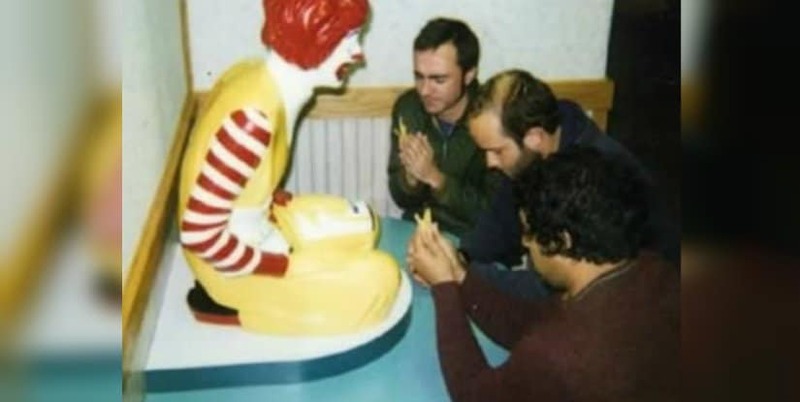 We know Ronnie is quite egotistical and self-adoring, but creating a cult of yourself, where people pray to you. That’s quite bizarre. Okay, Ronald McDonald! This is simply outrageous! You shouldn’t be addressing customers with such cruel words! Ronnie is being extremely touchy! You just can’t resist Ronnie, can you? What are you looking at Ronnie? Well, Ronnie! What kind of magazines are you looking at work? Have some explanation? Seems like Ronnie has the tendency to put his hands where he isn’t supposed to. At least he manages to make this person as happy as the young children he plays with. 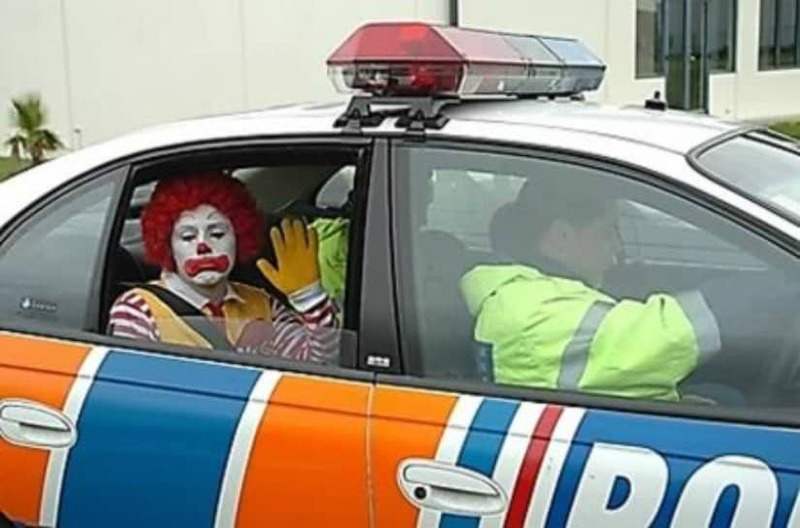 Having in mind everything that we’ve seen so far, it seems quite logical that Ronnie ended up in a police car. Busted! At least you are not receiving a facial this time Ronnie. Are you truly in love this time, or is this just another affair? Oh, Ronnie! Did you have too much to drink Ronnie? Well, next time you should be more careful!